Turbo by Intuit Reviews - Good Tool to Understand Your Finances? 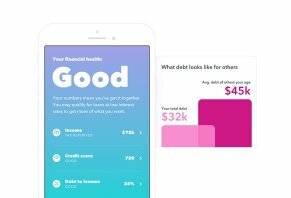 Turbo by Intuit is a clear, simple financial tool that gives its users straightforward assessments of their income, debt, credit scores and their debt-to-income ratio. What Is Turbo by Intuit? Turbo by Intuit is a free financial analysis tool that provides an overall financial health score that takes into account your income, credit score and debt-to-income ratio. What makes the tool unique is that it provides an overall financial health analysis based on your verified income – the income you reported to the IRS in the most recent year. There are other unique features included that we’ll discuss later in the review. The product launched late last year, with Intuit noting in a press release that Turbo is designed to fulfill specific need consumers have expressed about their finances. “Our research has shown that millions of Americans are struggling financially. They need a holistic view of their financial situation to take the first step in understanding where they truly stand. Credit score alone isn’t enough,” the company said in their press release. Turbo is their solution to help people take the first step in understanding the state of their finances. In this review, we’re going to analyze exactly how Turbo does that, compare it to a few other personal finance apps and then conclude with our thoughts on the tool’s general pros and cons. Since I used TurboTax to file my taxes as a freelancer this past tax season, I already had a login for the site because Intuit owns Turbo and Turbo Tax. After answering a series of questions to verify my identity, Turbo launched its Overview page. When you get to this page, you see three factors: verified income, credit score, and debt-to-income ratio. Your verified income is what you reported to the IRS in your most recent tax year. For me, it took the taxes I filed in April. Your income is important because it provides a frame of reference for your debt-to-income, which we’ll talk about in a few seconds. When you click on your verified income, Turbo Tax takes you to a page that shows you which income forms contributed to your overall income. Since I’m a freelancer, I have multiple 1099’s in my Income section. Your credit score is based on the free score that TransUnion provides Intuit. TransUnion uses the VantageScore model, which is a model that the credit bureaus came up with to formulate your credit score. This is the same score that Credit Karma and several other free credit score websites use. Turbo gives you a “grade” for each of these. For example, my credit profile received either “Awesome” or “Pretty Good”. This page functions in a very similar way to the summaries you get on Credit Karma, WalletHub and other sites that provide you with free credit scores. What we like about Turbo is that there’s only one score and only one set of credit metrics you have to look at. Credit Karma, for example, provides two different scores – one from TransUnion and one from Equifax. While the scores are similar, they’re usually not the same and that can be confusing for a newcomer. So, Turbo’s single-score model is a great introduction for those who haven’t checked their credit score before. The final metric you get on the Turbo Overview page is your debt-to-income ratio, which is commonly called “DTI.” Your DTI is what lenders use to determine how much debt you have and how much more you can bear without becoming overwhelmed. They calculate the number by dividing your monthly debt obligations (credit card payments, mortgage/rent, car loans) by your monthly income. It’s important to note, though, that the initial DTI doesn’t include any payment plans that don’t show up on your credit report. Any payment plans you have with the IRS or a medical facility, for example, aren’t going to be a part of Turbo’s calculations. However, the site allows you to edit your DTI by including payments that don’t show up on your credit report, giving Turbo a more accurate estimation of your DTI. DTI plays a big role in mortgages. Lenders will look at your DTI and figure out which mortgages will work best for you. Some home loan programs require lower DTI’s than others. Your loan officer will do the work to find one that works. In any case, the lower you can get your DTI, the better it is for your financial life. Each of the metrics we described above has their own page, which you can access from the Overview Page or by clicking menu tabs on the left side of the page. If you want to look at your debt from an overall perspective and not by the monthly payments you can, you can click on the “Debt” tab in the left-side menu. Clicking on each of these elements will reveal exactly which credit cards/loans you have and those cards’ and loans’ balances. You’ll also see your payment history going back four years, with green checks indicating you paid on time in the month in which they appear. This particular section is the final choice in the left-side menu. It takes you to a page where you can learn about various financial products. At the time of publishing, those learning modules included mortgages from Quicken Loans’ Rocket Mortgage, how to build a retirement account, how to save, and how to improve your credit score. Intuit is a company with a ton of data because of the millions of people who file their taxes through their popular site, TurboTax; I’m one of them. Because they have all this data, they can compare your various financial metrics to those of other users. So, whenever you click on a particular part of your financial profile – debt, for example – you can see how your total debt compares to people the same age as you. This can help you see where very specific parts of your financial life stand compared to people of your same age. Turbo combines features you can find in several different financial tools and websites. We're going to address the comparisons the site does, as well as the credit tools. The comparison feature in Turbo reminds us Status Money, the app that does an in-depth analysis of your finances for the purpose of comparing your situation to people of the same age and location as you. Status Money takes their comparisons a step further than Turbo by setting you against others in your age group, income level and city. Their comparisons are much more focused. They also take other metrics into consideration, including overall net worth. In our opinion, Status is a better fit for you if you are a competitive type of person and you want to compare yourself to others of the same age and income in your area, not just in your state or across the country. As we mentioned earlier, the way that Turbo handles credit information is similar to sites like Credit Karma. In our opinion, though, Turbo does a much better job of simplifying your credit score and the factors contributing to that score. The user experience is more fluid and the information is easier to digest, in our opinion. The downside is that you only get one credit score, but, if you’re someone who likes to keep your credit analysis simple, Turbo will do the trick. In our opinion, the best part of Turbo is that it combines three main aspects of your financial life – income, credit and DTI – into a simple financial tool that provides you a straightforward assessment of your finances. We like how you can see the source of your income, the factors contributing to your credit score and the various accounts that contribute to your overall debt total. We also think that the comparisons they do for income, credit scores and debt is specific enough to help you put your finances in context, but not so specific that you could get depressed at how far behind your peers you are. Based on our research, Turbo doesn’t have that many downsides. If anything, we’d say that the simple presentation of your financial profile may be too simple for those who are looking for recommendations for credit cards or financial products that fit their profile. Other sites will analyze your credit scores and provide recommendations for credit cards that fit your scores and provide an estimation of how likely you are to get the card. For this reason, we think that Turbo is a great fit for someone who is relatively financially savvy and wants a one-stop tool they can use to get an overview of their income, credit score and debt. However, we think it can also be useful for someone who is a newcomer to personal finance and wants a tool that can give them a quick overview of important aspects of their financial life. As you unpack things like credit scores, debt and income, you’ll start to see how they shape and guide your financial life. Write a Review for Turbo by Intuit!